Barbizon Lighting Company Blog: Not just Industry People are Looking Up: Lighting is Becoming More Mainstream. Not just Industry People are Looking Up: Lighting is Becoming More Mainstream. If anyone watched the ball drop in Times Square new years eve we can see how lighting has become an integral part of our world. Things are changing so fast - 2014 rings in the end of some legacy lamps making way for newer tech. While groups like the Association of Lighting Designers led by Richard Pilbrow have initiated the "Save Tungsten" campaign to keep the some legacy lamps available because according to their site "We must have flexible light; light that can be warm or cool; light that can be ever-so dim or blindingly bright, light that can subtly or brashly change its characteristics, full wave-length light that can truly reveal every color in the spectrum; but most of all, beautifully illuminate the human face, the humanity, which lies at the heart of all our work." On the cutting edge of things we have groups like Lighting Design Collective, and Tapio Rosenius who are expanding the possibilities for lighting the built environment. In the November issue of Architectural Lighting there's a great story about an upcoming project on Doha where they have designed a "facade (that) will use a lighting interface that employs haptic technology to enable the crowd’s responses to be monitored and reported in real time via color and pattern change on the facade’s surface." As the year progresses we will be posting progress and information about the One World Trade Center spire lighting project Barbizon's New York offices have been working on. 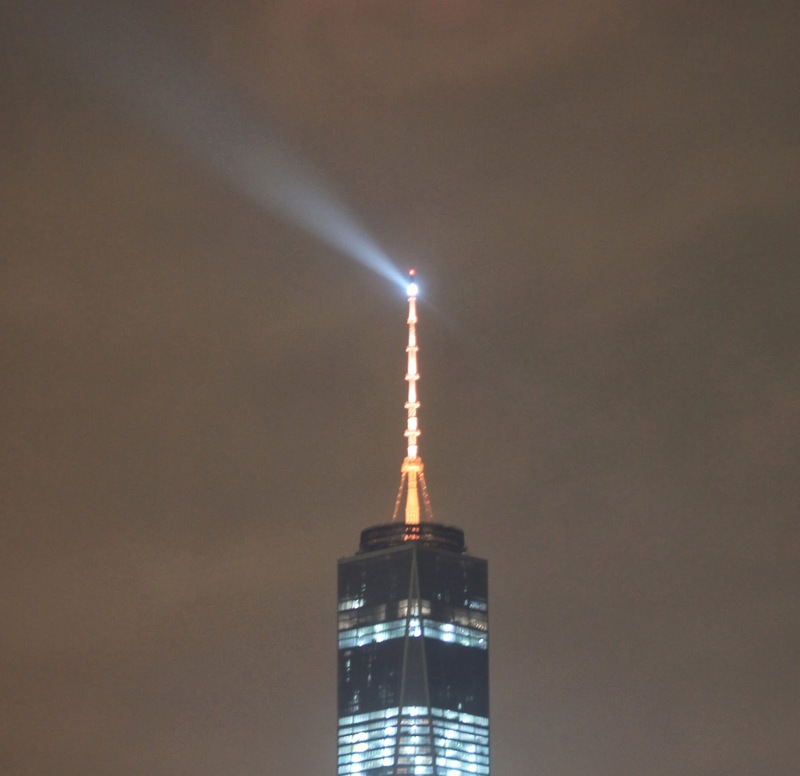 The sitting atop the 408' spire a beacon lighting has been custom designed to fit inside the glass capsule that sit’s like the wick of a candle atop of the 1776 foot structure. Its slew bearing motor allows the mirror assembly to rotate 1.5 times a minute and outputs over 300,000 lumens in two opposing directions. 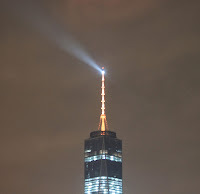 The hazy night sky allows the light beam to be seen radiating through the clouds from over one half a mile in each direction and on a clear night the rotating light can be seen blinking every 30 to 45 seconds from over 50 miles away. The neat thing is that it is all solid state based cutting down on power and maintenance needs. It's going to be a truly interesting year to see advancements in lighting technology and control.